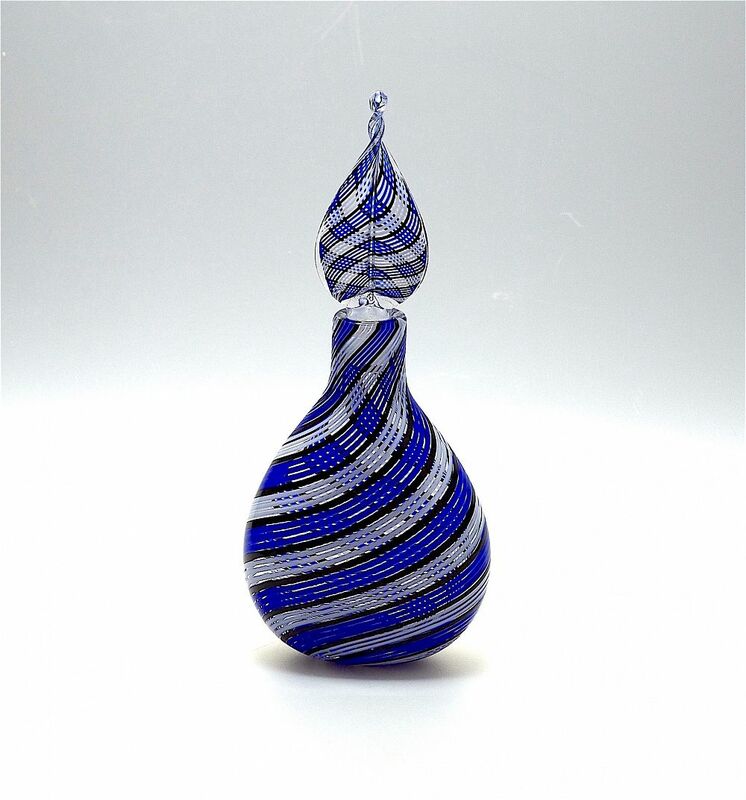 This scent bottle was made by Michael Hunter for Twists Glass in 2017. Known as "Pod" it has a flat bottle base made of blue black & light blue canes alternating 3 blue, 1 black, 3 light blue, 1 black, 3 light blue, that swirl around the bottle from the base to the top creating an optical illusion of criss-cross canes when viewed from the front. The stopper is a blue, light blue & black flattened and grooved zanfirico cane with a pointed double twist top. The base is scratch signed "M Hunter Twists 17" and has the Twists Glass studio label.